Brad Jones is Microsoft MVP based out of Indianapolis, IN and the editor of Code Guru. 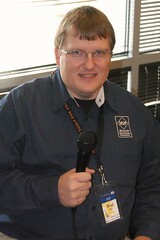 He also is the founder and president of the Indianapolis .Net Developer Association. This is the fourth and last interview in our series of that were recorded at the IndyTechfest in Indianapolis, IN. We talked with Brad about what it takes to put on a community event like the IndyTechfest. 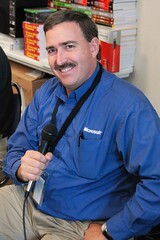 Rob Bogue is Microsoft SharePoint MVP and a consultant, based out of Indianapolis, IN. This is the third in our series of interviews from the IndyTechfest in Indianapolis, IN. We talked with Rob about his presentation at the event, which was on SharePoint in the Enterprise. 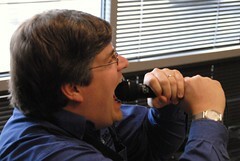 Rob has a lot of knowledge to impart on SharePoint, he even "wrote the book" on it (or co-authored one of the books). You can check out Rob's blog at: http://thorprojects.com/blog/.